Stretching is a vital part of improving your range of motion, flexibility and assisting the recovery process. 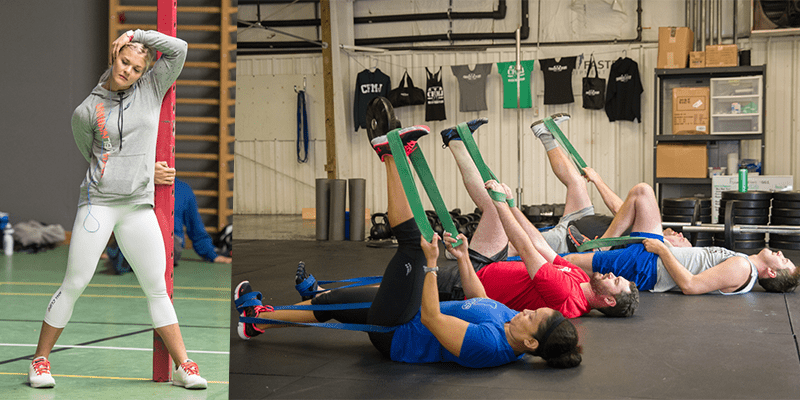 Warming up and stretching are two different things, but stretching exercises can help to prepare you for a WOD and improve your recovery. A proper warm-up will help any athlete have a better session with the weights and equipment and greatly reduce the risk of an injury. Stretching exercises after an energetic session will help to improve overall flexibility, lessen muscle soreness and enhance recovery. Stretching allows your body to more easily move through the full range of motion when it comes to hitting weights, in effect creating long, full muscles instead of stunted ones. There is a reason as to why we are trained to stretch before and after exercise. Not only does stretching warm the body, but it does wonders for recovery and may just prevent the dreaded Delayed Onset Muscle Syndrome. Exercising creates toxins in the body as muscles are exerted. By stretching the muscles after exercise, these toxins move into the bloodstream and out of the muscles, where they can be broken down and eradicated. So in effect, stretching after a tough WOD means that when you’re tying your shoes or trying to sit on the toilet the next morning, you won’t be left feeling like a mummy just released from its sarcophagus. These 5 tips can be done easily before and especially after every WOD. They combine nearly everything you need for a successful training session. It is also a good idea to add movements that are applicable to the exercises that you will be performing in your WODs into your warm up. 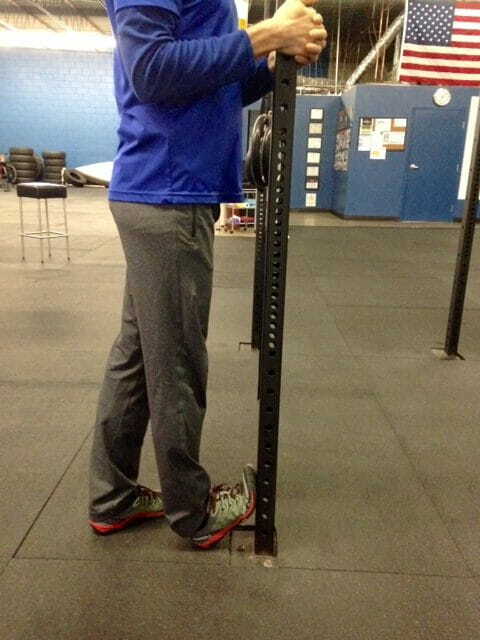 The Hamstrings are an important part of your posterior chain. Cleans, snatches, deadlifts are the heavy lifts you need them for. 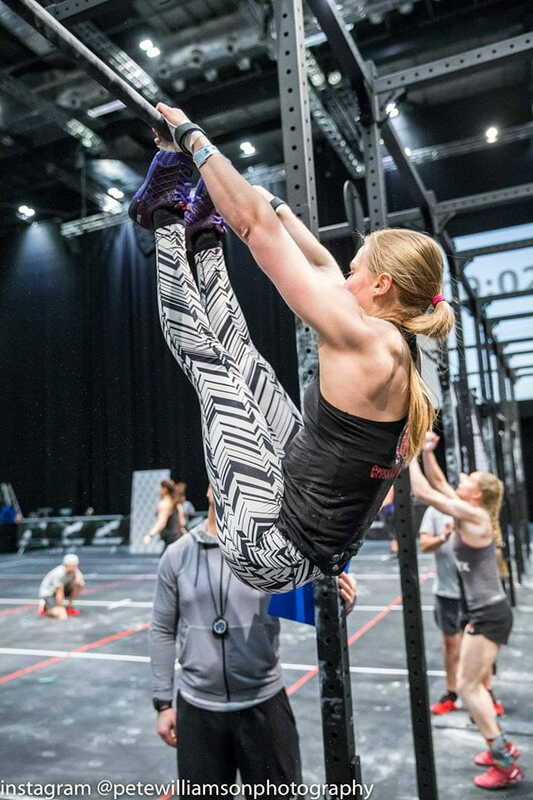 Sometimes you can even feel them whilst performing butterfly or kipping pull ups, or even toes to bar when you power your hips and legs forwards. Position like shown. Change the difficulty with your hips. 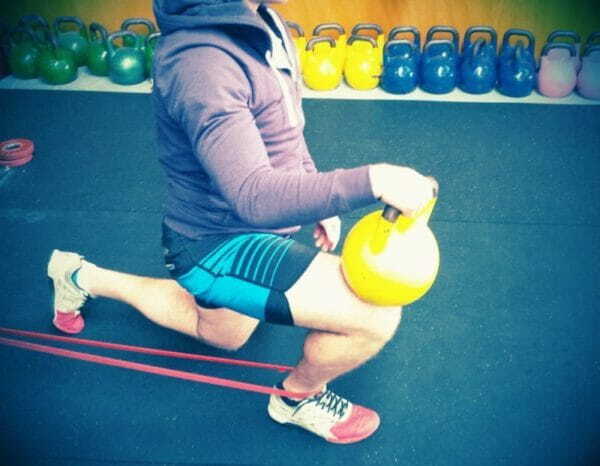 Leaning forward will put more pressure on the hamstrings. Push ups, Bench press, all kind of presses, overhead squats, jerks. All movements that demand extended arms will recruit the triceps. 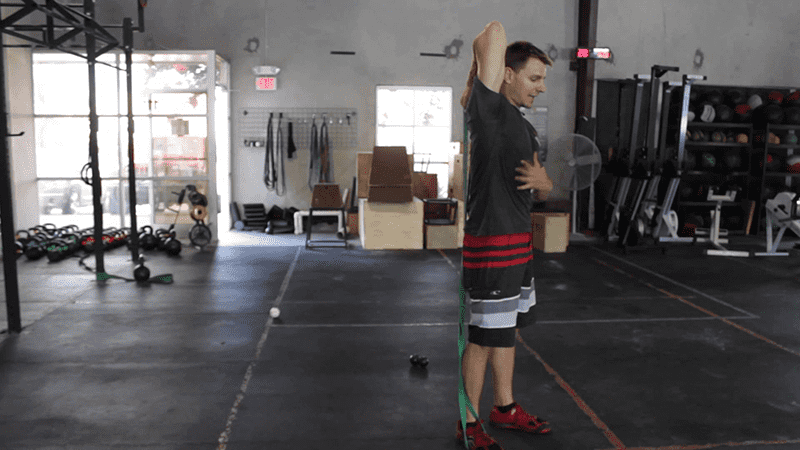 A good stretch will make your overhead lifts much easier. Talking about the triceps of course do not forget the shoulders. The shoulder joints are one of the most frequently demanded part in your body, nearly every movement in your upper body uses your shoulders. So, don’t let them rust. Jump, Squat, Lift. Stand up, knee, sit down, everything goes down with your hips. They are your torsos connection and key point. Stretch them properly to mobilize not only your hips, but the flexors and thighs. The ankles are the pillars that carry not only your bodyweight but all the plus weight you lift. Make stretching an important part of every session, improve your range of motion and work to reduce the risk of injury. What other stretches are important to you?